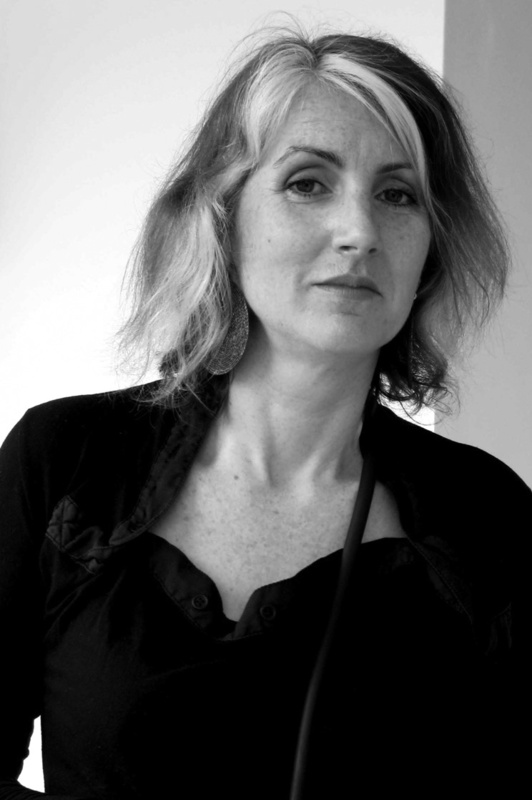 Marie O–Mahony is an academic, consultant, author, practitioner and curator. Her teaching, research and practice spans advanced textiles and fashion, wearable technology, sustainability and future trends. Marie is Professor of Digital Futures at Ontario College of Art and Design University (OCAD U) and has been a Visiting Professor at The University of the Arts, London, for eight years. Marie was previously Professor of Advanced Textiles for Fashion Design at the University of Technology Sydney (UTS). Academic work has included setting up new courses at graduate level, teaching and mentoring at undergraduate, graduate thesis and doctorate levels, and preparing individual study programmes with exchange students. She has evaluated courses for the Swiss government and advised several academic institutions on curriculum development. Marie has collaborated with international academic institutions and industry, forging links and raising the standard and profile of teaching and research. Marie has published six books since 1994, five of these with Thames and Hudson. Her book sales are in excess of 20,000 copies worldwide with some titles appearing in translated editions and receiving in excess of 250 citations. Published books are: Advanced Textiles for Health and Wellbeing, TechnoTextiles 2, Sportstech, Cyborg: The Man Machine, TechnoTextiles and 2010: Textiles + New Technology. Marie has consulted to Microsoft, the Mayo Clinic, Adidas, VF Corporation, Stylus Fashion, Zaha M. Hadid, UNStudio, Hussein Chalayan, Messe Frankfurt and NIKE. She has also served on the Australian Government's Textile, Clothing and Footwear Innovation Council (TCFIIC). PUBLISHED BOOKS –Advanced Textiles for Health and Wellbeing–, M. O–Mahony, book published by Thames and Hudson 2011. 240pp; 231 illustrations; ISBN 978-0500515877 Advanced Textiles for Health and Wellbeing celebrates the latest technological advances in fibers and fabrics. The first part of the book looks at the materials themselves, including synthetic and hybrid fibers, new weaves and knits, three-dimensional materials, coatings, biotechnology and nanotechnology. The second part considers the design innovations that have been made possible in clothing, transport, and the natural and built environment. –TechnoTextiles2 "Revolutionary Fabrics for Fashion and Design', S. E. Braddock Clarke and M. O'Mahony, book published by Thames and Hudson 2006(hbk), 2007(pbk); 204pp; 337 illustrations; ISBN 978-0500512456 Techno Textiles 2 highlights advanced textiles in production and available to the designer, artist, architect and consumer today. It explores the exciting confluence of art, design and technology: new textiles that shrink or expand to fit; textiles developed from carbon, steel, glass and ceramics; materials that protect the wearer from environmental extremes on earth and even in space. The first portion of the book is used to discuss the fibers and fabrics themselves, with the second section devoted to their application in design, fashion, fine art and architecture. –Cyborg "the man machine', M. O'Mahony, book published by Thames and Hudson 2002. ISBN 978-0500283813 'Cyborg', from the Greek for 'steersman' combined with 'organism', was coined in the mid-20th century to describe the new human who would be required for space travel - enhanced by mechanical, chemical or electronic means, he or she would be half-human, half-machine. This book discusses the astonishing changes in biotechnology that make the cyborg seem more science fact than science fiction. Soon we could all be Superman or Wonderwoman. What will this mean to us as individuals? How will it affect society? We consider the yearning for immortality and superpowers is as ancient as the human race; it's just that these now seem within our reach. We are guided on a journey through metamorphoses old and new, fictional and factual - from werewolves to genetic engineering, from Dr Frankenstein to a professor's arm controlled by another's thoughts, from the androids of science fiction to a real robot sensitive to human moods. 'SportsTech', M. O'Mahony and S. E. Braddock, book published by Thames and Hudson 2002. ISBN 978-0500510865 SportsTech describes new fabrics (including those made of metal, glass, or ceramic yarns) and their amazing properties. It explains the design processes for making clothes that mimic the carapace of an insect, are seamless, or have venting systems. It also includes the latest fashions that owe their stylish futuristic look to the innovations of sportswear. The book has four chapters looking at culture, high-performance fabrics, sportswear design and the relationship between sport and fashion. It includes a glossary of technical terms and a directory of designers and manufacturers. 'TechnoTextiles', S. E. Braddock and M. O'Mahony, book published by Thames and Hudson 1998. ISBN 978-0500280966 "Technology is the future of fashion".--Donna Karan, designer. Colour, texture, even form, can now be transformed by finishes such as silicone coatings and holographic laminates. Here the latest innovations are defined, discussed, and dazzlingly displayed. Divided into two sections, the first looks the new developments in fibers, fabrics and finishing treatments, the second their application in design, fashion, art and architecture. The book includes biographies of artists and developers, explanations of technical terms, directory of suppliers, bibliography, and sources. –2010 - Textiles and New Technology', ed. M. O'Mahony and S. Braddock, book published by Ellipsis 1994.120p; ISBN 978-1874056089 –2010 - Textiles and New Technology' was the first book to take the impact of technology on textiles as its theme. The first portion of the book is given to a series of essays that range from digital technology to architecture membranes and Artificial Intelligence. In the second section the work of leading practitioners are profiled as the book was published to accompany an International Crafts Council England Touring Exhibition. BOOK CHAPTERS (selected) "–Our Digital Futures–, catalogue essay for Barbican International Touring exhibition –Digital Revolution–. Book and exhibition catalogue July 2014. " –Reading, Materiality + Textiles: The importance of the physical in a Digital World"book chapter for Book Digital Culture / Digital Reading, ed. Zane Berzina 2013 " 'sensory Wellbeing"book chapter for Textile Futures published by the Textile Futures Research Centre, University of the Arts, London 2013 "–Future Textiles"book chapter for –Textile Design: Principles, Advances and Application"ed. Dr Briggs-Goode and Dr Townsend; Woodhead Publishing UK. 2011; ISBN 1-84569-646-8 "'sustainability "Nature or Nurture"book chapter for 'shaping Sustainable Fashion"ed. Alison Gwilt and Timo Rissanen, pub. Earthscan. 2011; ISBN 978-1849-71242-2 "–Materials for a Safer World–, chapter for 'safe"book accompanying an exhibition of the same title at MoMA, New York, October 2005 "January 2006; MoMA 2005; ISBN 0-87070-580 ACADEMIC JOURNALS, PAPERS, PEER REVIEWED (selected) "'science in Fashion "Fashion in Science Fiction"book chapter for –Fashion Studies Handbook"ed. Prof. Sandy Black, London College of Fashion. Blind peer reviewed. Published by Berg, London 2013 "–The Role of the Materials Library: Providing access to Multimodal Knowledge in Design Research–, joint paper, EKSIG 2011: SkinDeep "Experiential Knowledge and Multi-Sensory Communication–, Farnham, UK. ,. 23-24th June 2011. Double-blind peer review paper. "–Is TechnoCraft a new cornerstone for luxury fashion?–, IFFTI:Fashion and Luxury, between Heritage & Innovation, Paris. 11th - 14th April 2011. Blind peer review paper. ?